A group of Wauwatosa nuns soon will have 15 new neighbors. 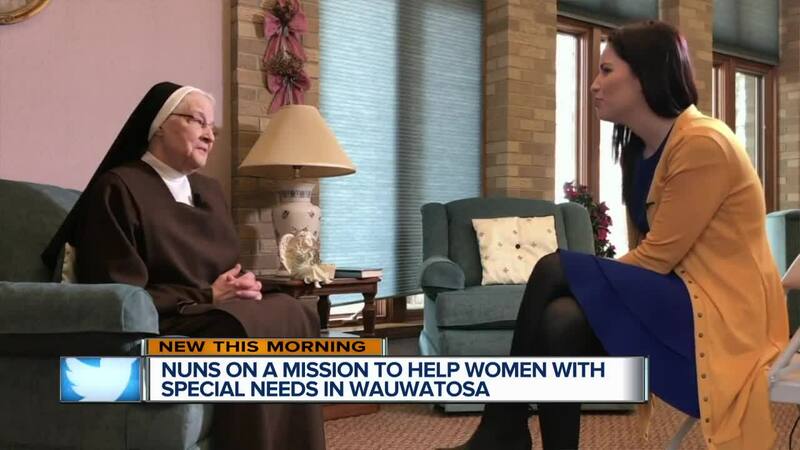 WAUWATOSA — A group of Wauwatosa nuns soon will have 15 new neighbors. The Carmelite Sisters of the Divine Heart of Jesus have a long history in the community. Their ministry in Wauwatosa first helped children in the early 1900s and eventually a boys home for troubled youth until 2016. The building was demolished in 2017 to make way for a more than $4 million facility they hope will fill a great need in our community: to help women with intellectual and developmental disabilities. Joy Kenney was the first applicant to be accepted to live in the 15-unit state-of-the-art complex. "I'm moving in September!" she exclaimed. "I'm very happy." Sister Immaculata Osterhaus explained a social worker and nurse practitioner will be available on-site. She added, "A house mother will be there. We're going to have somebody there all the time. They will never be left alone." This brings comfort to Joy's father, who believes Joy may outlive him. "(It's) something that weighs on you. What would happen? Who would she be with?" said Tom Kenney. He describes his daughter as an independent young woman who works three days a week. "Here she'll be more than safe. She'll grow into an even better person, even though we think she's pretty special right now." "I'll be close to work and program and doctors. I'll be helping with the mail, helping cooking," said Joy. Eight women with developmental disabilities have been chosen to live in the future facility so far. The fundraising is far from over. Sister Immaculata tells us they still need about $4 million. The sisters have faith that money will be raised soon to help these women flourish. They also plan to create enrichment programs that anyone with developmental disabilities in the community could take part in where the gymnasium still stands. "Everyone with different denominations are invited, too," Sister Immaculata added. "We the sisters are very excited we're doing this." If you would like to learn more about the application process or donate to help the sisters raise the millions they need, click here.